LED Road Flares. Superior option to incendiary flares. Many light patterns. LED Road Flares and Batons. 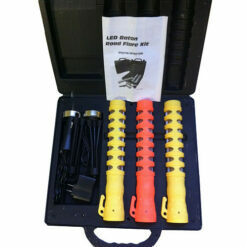 LED road flare AC/DC charging kit, LED baton AC/DC charging kit and individual LED Road Flares. 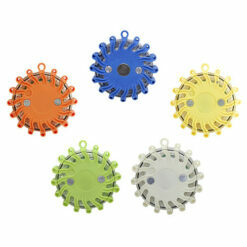 Our assortment of LED safety lights provides lasting illumination ideal for directing vehicle or pedestrian traffic. Additionally, LED road flares identify hazardous locations or conditions. LED flares used by police and fire personnel to establish helicopter landing zone. Multiple light patterns plus rugged crush resistant and waterproof construction. Eliminates cost and problems associated with incendiary road flares. Essential for watercraft safety.